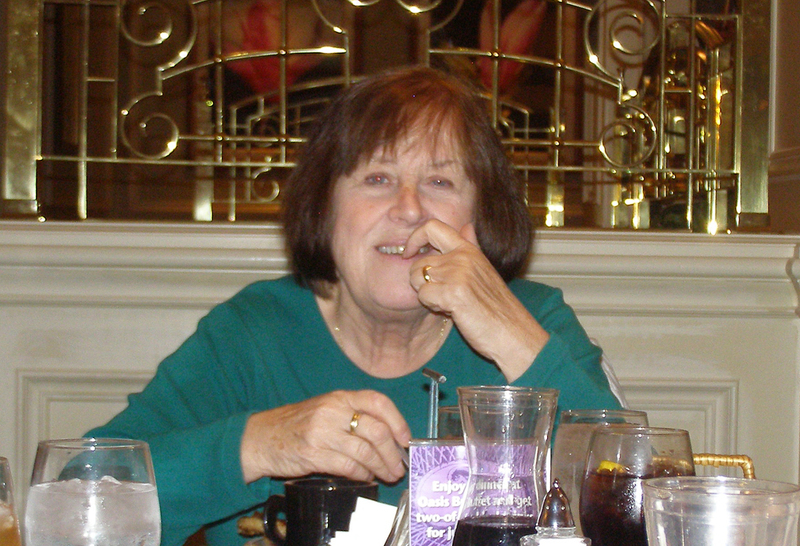 CLAREMONT, CA — Once considered the de facto first lady of ABPA, Marie Claire Wade Hogarty passed into eternity early Sunday morning, Sept. 18, at age 74. Marie had just turned 74 years old three days earlier on September 15. Surrounded by her family, she lost a three-year battle to ovarian cancer which first struck her in 2013. A fairly private person, Marie was determined to keep her battle with cancer from the outside world and so, when she passed, it was a shocking revelation to many of her friends and associates. When she passed, Charlie contacted the world with a simply written e-mail of a few sentences: ”Friends, Marie succumbed to her three-year battle with ovarian cancer. She breathed her last breath at 12:55 this morning (Sunday). She had wanted only her close family to know what she was going thru, so this will come as a surprise to all her friends. She turned 74 on Thursday. The entire day before on Saturday, she was surrounded by her children, grandchildren and her great-granddaughter, 7-year old Hannah, all of whom she loved dearly, I couldn’t have asked for a more loving and special person to love for the last 55 years. She is with God and she will be loved and missed by all her friends and family. There will be a Funeral Mass at Our Lady of the Assumption catholic church in Claremont. (See below for date and time.). Marie and Charlie were inseparable from the time they were of high school age in Philadelphia, Pa.,their respective hometown. She graduated from St. Boniface High School in 1958 and a year later met Charlie. They were still teenagers when they got married in 1961 and it was also about that time that Charlie hooked on with a job with Keystone Plating—then called United Bumper—in Collingswood, NJ, a Philly suburb, as a delivery boy. During their time in the Philadelphia area, their first child, a son who was a junior, was born. Charlie was a quick learner and worked his way up the business ladder as the company moved him first to Albany, NY, as branch manager in 1962. Next stop was Chicago as general manager in 1966 and then two years later—still in Chicago—he was promoted to regional manager. In 1979, Charlie and Marie left the cold country for company headquarters in Pomona, Ca., when he was named vice president. Marie loved Chicago, often proclaiming it was her favorite city. It was also the birthplace of their second child, Pam. Marie said she would miss the change of seasons. Charlie said he would not miss shoveling snow. Now in Southern California, Charlie was named president and CEO eight years later in 1987. No sooner had he inherited the catbird seat than he was faced with his largest challenge. The marketplace was dramatically changing and Keystone, like so many other bumper platers was at a crossroads in their long range planning. The metal bumper was losing in its battle against the newer, lighter and more fuel efficient inducing plastic bumpers and Keystone needed to broaden its product selectivity. Enter independently produced aftermarket body parts. Hogarty enjoyed a good relationship with the late Chuck Rao who introduced Charlie to independently produced aftermarket fenders, especially those fitting the C-10 pickup trucks. Those original fenders had a short road life especially in the upper midwest where the harsher weather conditions brought about rust, excessive wear and damage. It was about the same time that Jack Armstrong of Detroit-based NuPar was lobbying for a new distributors group which would better represent the growing number of participants in this segment of the bumper replacement market. When the Aftermarket Body Parts Distributors Association was born, Charlie Hogarty was one of its founders signing on the dotted line and affirming the acceptability of a new group which would be competing with the older, established Bumper Recyclers Association of North America (BRANA) which did not permit distributor members. It was his support directly, along with the late Don Gorman of Cincinnati, which helped to spur the growth of the new group. It was also under his and Gorman’s leadership that ABPA and BRANA successfully merged in the early 2000s. All along the trail, Marie Hogarty lent her support both to Charlie and to the cadre of new members coming into the ABPA fold. At the conventions, she was among the first to welcome the newcomers and to make the women, especially, feel comfortable. There was many a convention where after the final night banquet, a fair-sized group would still be sitting in the hall even a couple of hours after the final dish was removed, finishing up some wine, telling stories and laughing. Marie Hogarty was always there. She genuinely enjoyed the Association and the people she met. When Charlie retired from Keystone it was not until after he successfully took the company public in 1996 and then started the industry consolidation. In 2004, he felt it was time to say goodbye to the industry he loved and which he had served for 44 years. Marie welcomed the change; it was their chance to see some more of the world and to enjoy the rewards of what they had reaped. Her hobby was their family and they liked going to movies and plays. Now, she would have nearly a decade of this type activity before being stricken with cancer. His will now be a lonely vigil after a 55-year trek through life with a high school sweetheart who was just that—a sweetheart. But, at least Charlie is still surrounded by family and friends going forth and all of them will be a constant reminder of just how great life is because the Good Lord blessed him with a terrific wife for more than five decades. The pain of her loss will eventually pale when compared to those memories. Marie Hogarty is survived by her husband Charlie, son Charles [Chuck], daughter Pam, grandchildren Darin, Chelsea, Charles Key and Stuart Key and great-grandchildren, Hannah and Peyton Marie. Funeral services will be held on Wed. Sept 28, at 1:00 pm The church is Our Lady of the Assumption, 435 Berkeley Ave., Claremont Ca. 91711. Charlie’s new home address is 1204 Yale Ave, Claremont, CA 91711. He also can be reached via phone (909-267-5875) or e-mail (chogarty@ca.rr.com).